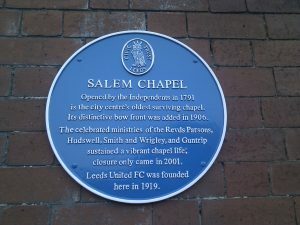 Salem Chapel in Leeds was established in 1791 as a Dissenting chapel in opposition to the Church of England and has been a vital part of the city’s community for more than three centuries. The 19th century saw Leeds become an industrial powerhouse and in 1822 Joshua Tetley built a brewery meters from Salem Chapel’s front door; the chapel did not waiver. More surprisingly, but for some, more importantly, it was the place where Leeds football club was founded in 1919. 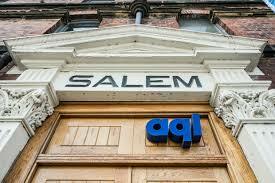 The Salem Chapel has stood firm in a world of change. It finds itself in the midst of change again in its new role as home to one of aql®‘s datacentres . The Northern Powerhouse is far less a Whitehall programme than an initiative driven by the North for the North. It is bringing new investment to key Northern cities like Leeds. On the 13th October 2016, the north’s major universities signed a deal to ensure that 21st-century digital infrastructure is available to education and medical research. When large data sets need to be shared data centres come into their own. When you visit aql®’s secure, carrier-neutral data centres with their direct access to the Janet network you recognise a place that will support the UK academic community’s need for high-performance IT infrastructure. 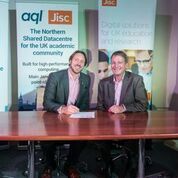 aql® already hosts the main high-capacity northern access point into Jisc’s Janet network, giving national and international access to the academic community. This network also has a direct connection into IXLeeds – the Northern Internet Exchange – which provides an opportunity for high-capacity access between the Janet network and other commercial networks and key healthcare data stakeholders such as EMIS, making it ideal for supporting public-private big data research projects. Looking at institutions’ computers gently blinking and humming in their brand new racks you can only imagine the activity going on to support research, critical back-office systems and IP telephony. It is clear immediately that the space is designed with high-performance in mind. If you jump up and down the highly reinforced floors are solid and the high cooling systems and impressive power capability are apparent. You can be confident that the equipment you spent time and money moving and installing will work to its maximum capacity 24 hours a day 365 days a year. And when you walk outside and see the 20-foot high electric fence surrounding the facility you know that aql® has the expertise to keep your equipment and data secure. Safe migration onto the cloud is becoming increasingly necessary for educational institutions and this fundamental change is supported by datacentres you can trust. We now live in a world where ‘big-data’ is the norm and being able to support the provision of these huge processing needs opens the doors to significant benefits. Jisc’s position working with universities and commercial suppliers mean that the highest quality, most cost-effective solutions can be developed and shared. Jisc is working closely with aql® to support the academic community’s key role in the Northern Powerhouse. We know that The Salem Chapel will be seeing more changes in the months and years to come and are confident that it is up to the challenge facing it.